Abuela makes the best masa harina for our Latin American dishes yet we don’t have the recipe for it. Besides making authentic masa harina can also take a lot of effort and a lot of expertise. To find masa harina options, let’s have a little Spanish 1-0-1 tutorials. “Masa” means “dough” and “harina” means “flour”. So we’re looking for alternatives that can be made into flour or dough. But masa harina is not just any flour. It comes from dried corn or maize, cooked in formulated water, ground until powdered and then, dried again. It is a staple in most Latin American food, like tamales and corn tortillas. So I’ve searched high and low to come up with eleven masa harina substitutes that you can easily make at home. Where else can we start looking for masa harina alternatives but in your own pantry! Look behind the cupboard and see if there are fresh corn tortillas lying around. If you found a bag and they don’t have molds yet, then those stale corn tortillas are good as gold for a masa harina alternative! Corn tortillas are basically masa harina in cooked form. So those stale ones are no different from what we need. Just put three to four pieces of un-baked, un-fried corn tortilla on your food processor or blender and whiz them up. You may ground them as fine or as coarse as you like or as your recipe requires. 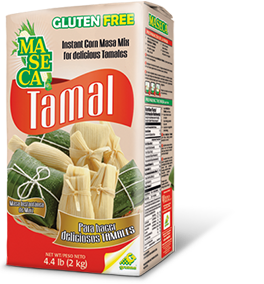 Some recipes like tamales need coarser masa harina and corn tortillas need the finer masa harina. 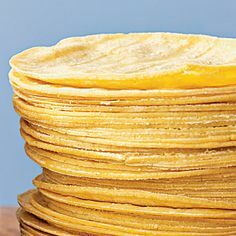 In making corn tortillas, masa preparada can cut your preparation time in half as opposed to using masa harina. Even though they’re the same thing, masa preparada is pre-made. Its literal translation is “prepared dough”. See it as using store-bought pastry dough in making bread instead of mixing, kneading, and proofing your own dough. Just the same thing but with less effort and time spent. Most Mexican grocery stores have masa preparada. You can find it in the baking section and comes in a closed plastic bag. Since it’s already made, it has a short shelf life. So don’t buy it when you’re planning to use it a week or two after purchase. Make-Your-Own Masa Harina. I know I said that we don’t have the time and effort in making our own masa harina. But what is a day without a little challenge, right? Plus, it’s a great thing to learn something new every day. You may even impress dear old abuela with your own masa harina. Get some dried, whole-grain corn. Check online or go to your nearest farmer’s market and get the ones that are already peeled. This kind of corn is usually used in most corn-based products, like polenta and grits. Do not wash the corn. You’ll be soaking them in a special, formulated water. Use powdered lime or calcium hydroxide to make the special, formulated water. Buy this lime online or in any grocery store and look for “cal” or “slaked lime”. Soak the dried corn in the slaked lime water. The kernels react to the slaked lime by swelling and making them naturally loosened from the husk. This process is called nixtamalization. When all kernels are loosened, wash them with water to remove the acidic taste. Ground the wet corn with your food processor or with a stone-grinder (metate y mano) for a more traditional feel. Once the ground maize is finished, you may dry them to become flour and wet them with water to be made into a dough. You may actually use lime fruit or its juice to add flavor to your dish and not onto the slaked lime solution. Hominy is the corn kernels treated with the slaked lime. The kernels were hulled, which means the the kernels are out of their cob. It’s a good habit to stock canned or dried hominy in your pantry in case you don’t have masa harian. You can simply grind them up with a food processor and you’ll have your masa harina in no time. For a more authentic Mexican feel, try grinding the hominy with a “metate y mano” or “piedra de moler”. It’s a rectangular stone version of mortar and pestle. You can either grind or pulverize not only corn kernels but also seeds and nuts. It’s time to ransack the pantry once more to find more masa harina options! If you find the corn chips, hard taco shells or corn tostadas past their freshness, then it’s time to whiz them up with our trustee food processor. You may opt to have fun and crush them with your hands or pound them inside a zipped bag with a rolling pin. 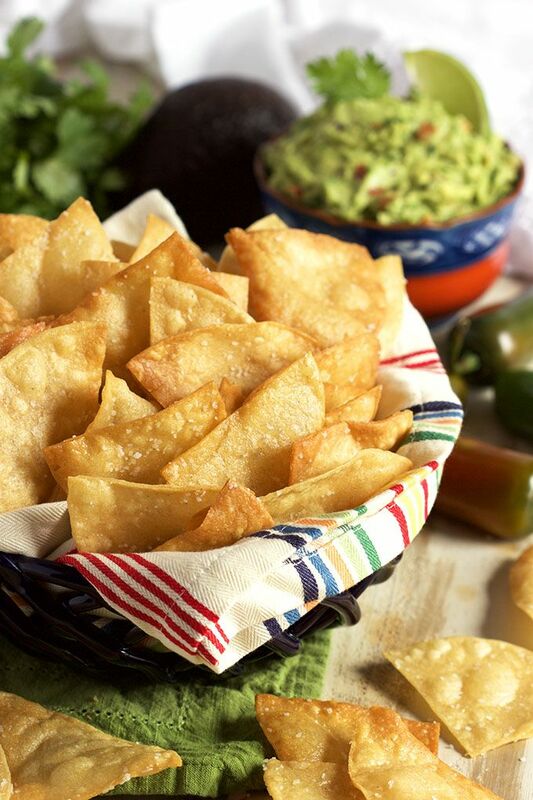 They may be made from corn, just like the masa harina, but keep in mind that they have some seasonings that can add some flavor to your Latin recipes. So instead of a making masa harina out of the stale chips, add them to soups or sauces. They can act as a thickening agent. And for a healthier tip, get baked corn chips or taco shells instead of the fried ones next time you went grocery shopping. Cornstarch is often used to thicken sauces or soups. It’s a good alternative masa harina thickening agent because it can double the size of the dish. It is also finer and smoother than masa harina. Some interchange cornstarch to cornflour. To use cornstarch in your dishes, you must put equal parts of cornstarch to liquid (water, wine, etc.) For example, take two tablespoons of cornstarch and mix it with two tablespoons of water. Make sure you create the mixture or slurry separated from the dish. If you mix cornstarch to the food directly, it will be clumpy and uncooked. Arrowroot is a tropical plant that is ground to make starchy flour, like cornstarch. Some people tend to feel that the arrowroot powder is “more natural” because there are no chemical process involve—just grinding the root to powder form. This also makes arrowroot powder a more expensive substitute. You can prepare arrowroot just like cornstarch—one part powder to one part of liquid. Also, make the slurry separated from the cooking dish. One big red flag with arrowroot is combining it with dairy products, like milk. No matter what kind of dairy, mixing it with arrowroot will definitely be slimy and unpleasing. Since masa harina is dough flour, you can always use any kind of flour to thicken your dishes. Using other kinds of flour can change the food’s taste, texture, and consistency. Flour means any ground, sifted, powdery product from grinding any particular food. Aside from corn, grain flour can include wheat, oat, barley, buckwheat, almond, millet, rye, quinoa, rice, etc. Also, you can have baking flour or cooking flour, cake flour or bread flour—tons of different flour kinds! You may opt to use other flour as a masa harina thickening replacement for chili soups and sauces. Even though it’s a Latin dish, it does not require so much of the masa harina or corn taste, so it’s good to go as a substitute. 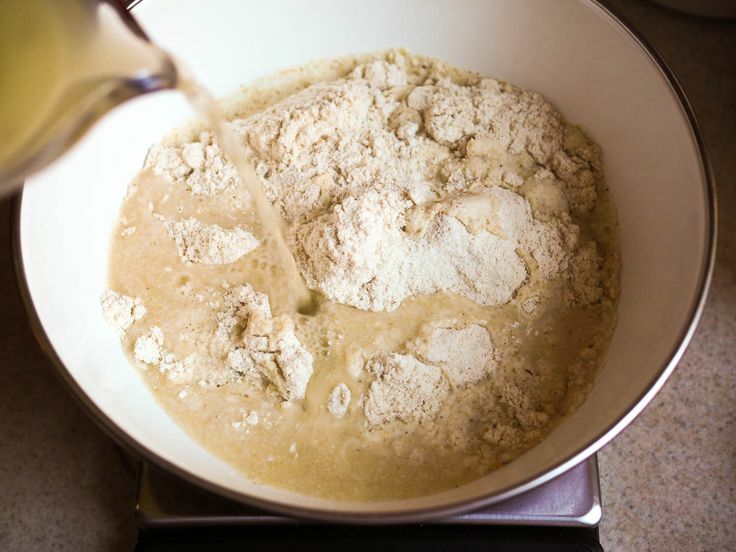 Just make the slurry first before adding it to the meal you’re cooking to avoid clumped flour in your dish. Grits is one of my comfort food meals during winter. I love how one bowl of grits can warm you up and make your belly really full. It is actually one of the cheapest dishes during the late 19th to early 20th century. Up to present, homes and restaurants alike still make and serve grits. It comes from broken pieces of corn. When corn kernels are ground by an industrial mill, the milled product is put to a screen to separate the larger grain to the smaller grain. The large ones are made into grits and the smaller ones become cornmeal. Heat up water and butter on the stove then add the grits. Cook them up for about 40 minutes. Use ¾ cups of water than you’d use to completely cook your grits as a stand-alone meal. When the grits are soft, they are ready to be added to your stew, chowder or soup as a thickening agent. This Italian dish is a good alternative to our Latin American ingredient. Polenta is made from cooking ground cornmeal but Europeans of the 16th century made polenta from chickpeas, farrow, millet, chestnuts or spelt. You can buy polenta in grocery stores as dried, coarsely ground corn. 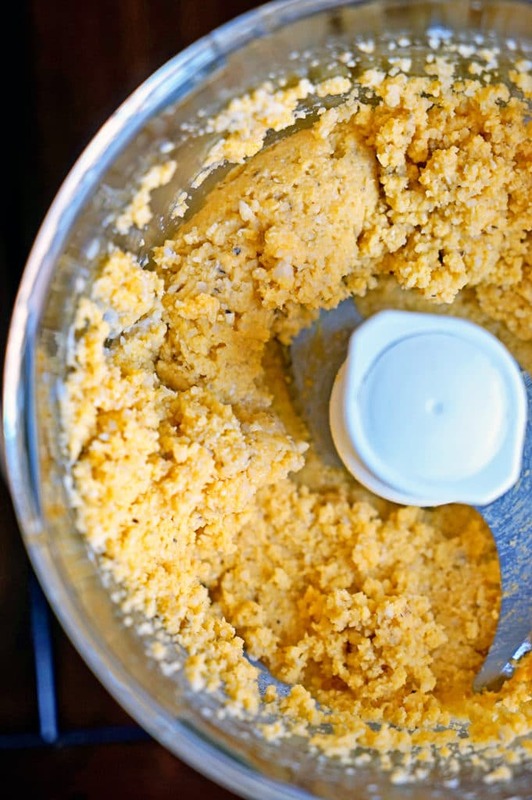 You must choose the finely ground polenta as a masa harina substitute. You may also find non-dried polenta in a tube. This is a good masa harina substitute for soups or chowder. This kind of polenta would not fit tamales or other traditional Mexican masa harina recipes that call for coarser flour. Polenta may look like grits but they come from different types of corn. The latter comes from dent corn and the former comes from flint corn. In sense, different types of corn, different taste and textures. Another type of corn flour is cornmeal, which you may often see on the same grocery aisle side-by-side with polenta and grits. There are different types, textures and colors of cornmeal depending on the ground corn they came from. Use the yellow cornmeal flour as a masa harina substitute, which can essentially be a substitute to any recipe. However, cornmeal did not undergo nixtamalization, so don’t expect the limewater taste here. Also, cornmeal has a different coarseness to masa harina that does not match what you need. These eleven corn and non-corn product alternatives to masa harina are exciting and fun to try. They may not be as good as the authentic masa harina, but they will surely help you look around your own space first and try being creative with your Latin American dishes. We have to remember that each substitute will bring different taste, texture and consistency to your dish. Always take into account your preferences and what your recipe requires. Have you tried one of the masa harina substitutes before or you have other substitutes that were not mentioned in the list? Let’s talk about them in the comments section. I hope this article helps you with your cooking. See us again for our next topic!